When Colonial Dames Are Neither « John Bartram Lives! 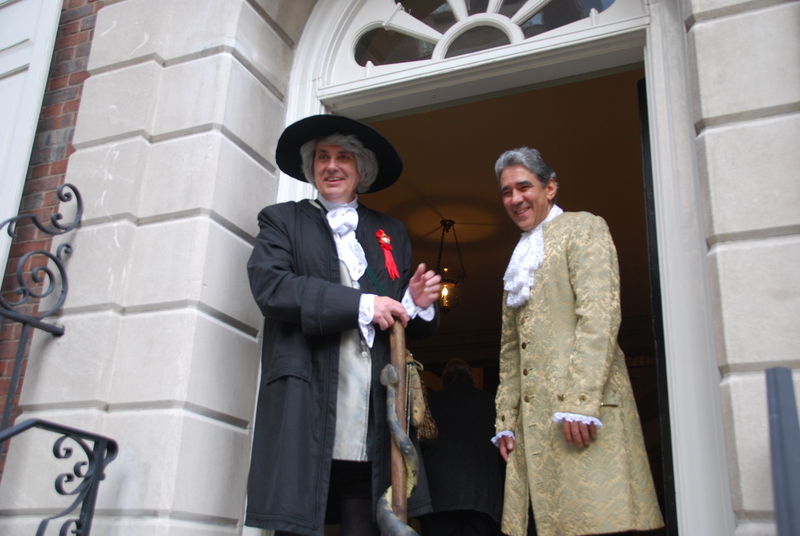 I received a request to appear at the home of colonial dames in New York City. What was I to think? How should I respond with such a chasm of misinterpretation potentially drawn out before me? Colonial dames? Do gentlewomen easily accept such a label? But, it would seem to present a perfect opportunity for a John of any age to appear. So I took my heart in my hand as I responded to the contact. “What does the group want from me?” was my opening gambit. “Is there anyone else you do?” The confusion multiplied exponentially. She was good, this woman to whom I was speaking. There was an intake of breath. I felt myself blushing. Perhaps I had gone too far. That opened the flood gates of information. I discovered that I was being asked to present a horticultural lecture to the members of The City Gardens Club of New York City. Confusion was at an end. Arrangements were discussed and a date was confirmed. 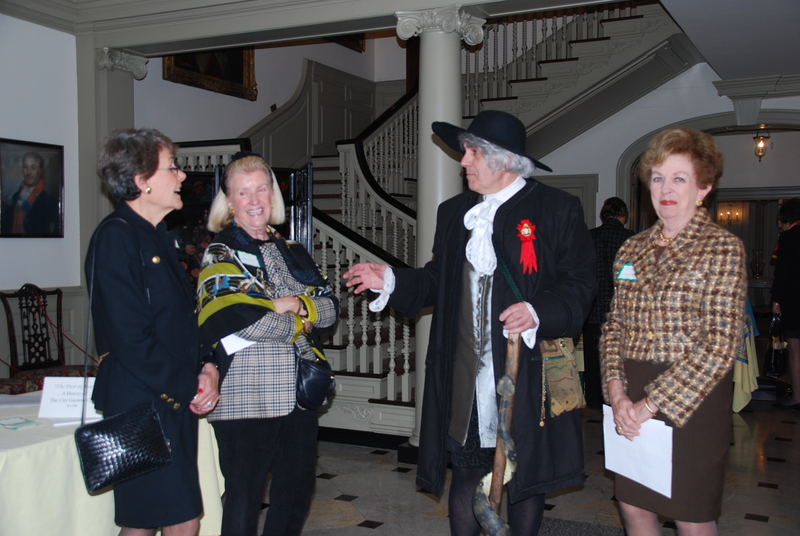 John in the gracious entry hall of the magnificent Colonial Dames when speaking with members of the City Gardens Club of the City of New York. Unlike any of my preconceptions, the group was perfectly well-behaved and attentive. If anything, I was more the fish out of water. Imagine, a centuries’ old Quaker cavorting with the sophisticated horticultural doyennes of the City Gardens. I was humbled. I was even ushered into the event by a man of my own time and dress. We saw eye to eye about the ease with which the world can be deceived by looks. Time distorts even the truth of the original intention: Colonial and Dames are not an abstraction in this marbled hall. The ghosts of history ask us to attend to the needs of country, family and honour. And I am present to speak on the living world of horticulture. It is a thread of centuries. And I feel as though I’ve come home. 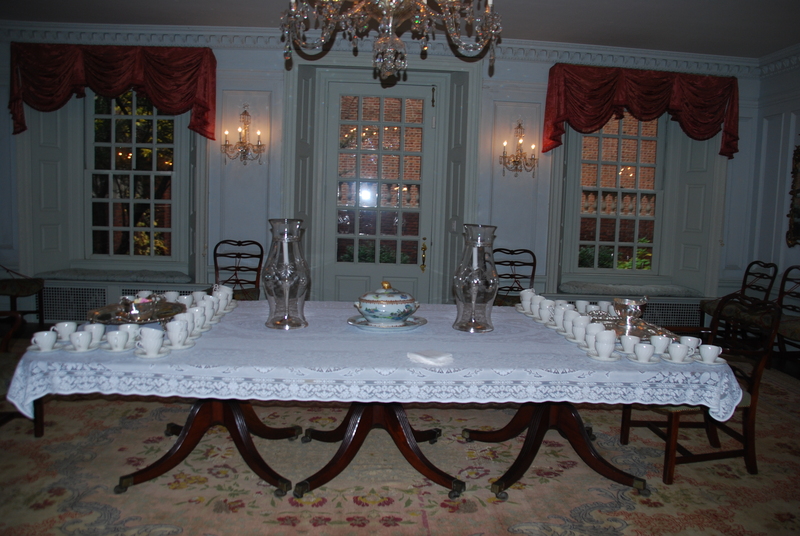 Tea was set and served after the horticultural presentation.